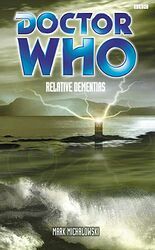 Collecting his post in the London of 2012, the Doctor and Ace are called through time to south-east Scotland to help out an old friend — an old friend who's vanished. They find themselves at Graystairs, an Alzheimer's treatment clinic and a place of healing, where the patients seem to be gaining a new lease of life. Why is the Doctor so reluctant to talk about what happened in the TARDIS? What is alien technology doing in a tumbled-down cottage? Why are cats and dogs — not to mention people — disappearing? Who is the shadowy figure stalking the Doctor and Ace — and what is the secret of the mysterious Miss Chambers who no one remembers meeting?